The art of silhouette cutting originated in Europe in the early 1700's and is extremely rare today. 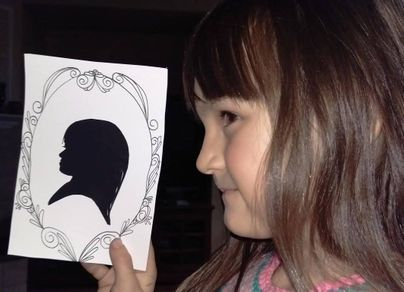 Each Silhouette is cut out entirely freehand. No drawing, tracing, or projecting. Using only a pair of scissors we can create a charming, heirloom-quality portrait in just minutes, while you watch!